OPB Feb. 14, 2019 midnight | Updated: Feb. 15, 2019 11:15 a.m. The broadcast license for KMHD Jazz Radio is owned by Mt. Hood Community College (MHCC). In 2009, MHCC and OPB developed an agreement under which OPB would fund, program and operate the station. This relieved MHCC of most of the cost of operating the station and allowed KMHD to grow its public service mission. On January 16, 2019, the MHCC board voted to terminate an automatic five-year extension that would continue operation at OPB until August 2024. If OPB and MHCC do not negotiate a new agreement by April 1, 2019, then full operations of KMHD will revert to the college in August 2019. Doesn’t KMHD belong to MHCC? Yes, MHCC is the owner of the broadcast license and transmitter, which OPB has operated under a ten-year contract that expires this August. Although it is OPB’s full desire to extend the relationship with the college, MHCC is free to take it back as soon as the contract period expires. The question is whether that move would be in the best interests of the college or the community. What does OPB stand to gain if the partnership with MHCC continues? The benefit to OPB of operating KMHD is the public service that we’re able to provide. We have developed the station into an award-winning, listener-supported resource for jazz appreciators that’s accessible worldwide. What does OPB stand to lose if the college takes KMHD back? In addition to the numerous OPB staff who support KMHD with expertise in programming, engineering, fundraising and administration, the 28 volunteers and three employees who operate the station on a day-to-day basis are an incredible community resource. Their wealth of knowledge, deep commitment to running a high-performance, respected radio station and their passion for jazz are the reason that we have so many devoted listeners and members. Dissolving that cohort would be an irreplaceable loss. Why is OPB challenging this when MHCC owns the license? While the station is owned by the college and operated by OPB, we believe that the content and the value of the station in its current incarnation really belongs to the entire community. MHCC Board’s decision was made without a plan and without all the necessary facts at hand. We respect our partnership agreement and our friends at MHCC, and we also have a responsibility to our members and the community at large to keep them informed about what’s at stake so we can preserve this important cultural resource. Why did operation of KMHD move to OPB in the first place? The economic climate in 2009 was a driving force for this partnership. MHCC was facing a budget shortfall due to state funding cuts, and operating a radio station is costly and requires specialized expertise in order to succeed. Both OPB and MHCC believed that the partnership would ensure a more stable future for KMHD while allowing MHCC to focus its resources on its educational mission. And ten years later, all evidence points to our mutual belief being accurate. How has KMHD grown in the 10 years since OPB has operated it? Since OPB began overseeing operation of KMHD, it has thrived. KMHD’s audience has grown and diversified. While at MHCC, KMHD’s audience was heavily weighted toward men 65 and older. Today, KMHD’s audience is far more balanced in terms of age range and gender. Under OPB’s operation, KMHD’s staff of three full-time employees and 28 volunteers focuses on presenting jazz as a living, thriving art form. New voices and talent are discovered and the boundaries of jazz are expanded, while keeping the best from the past alive. 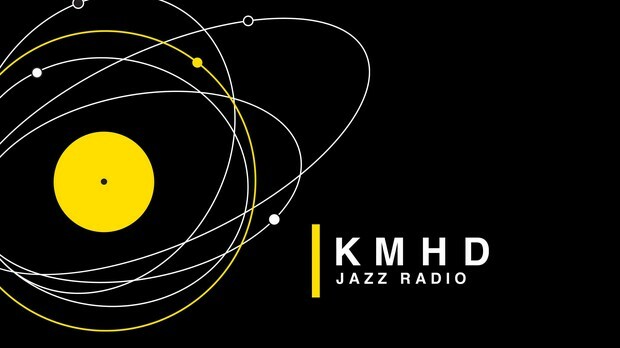 KMHD’s service extends beyond the Portland area through online streaming which reaches jazz fans across the country and even internationally. Together with our members, we’ve built one of the strongest jazz services in the nation at a time when full-time jazz radio stations are rare. As the programmatic strategy has taken hold, the station has grown listeners and membership. KMHD’s membership now exceeds 6,000 households. Has OPB provided internship opportunities for MHCC students? Since late 2009, internships have been available to MHCC students but are not given preferential treatment over other applicants. OPB diligently tracks internship applications as it is part of our mandatory EEO filings with FCC. Overall, there has been very little demand for internships by MHCC students. Since 2010, OPB has received a total of six applications from MHCC. Of the six that applied in 2010, four did not choose KMHD as being of any interest (we ask applicants to list all their areas of interest). Two listed KMHD as their very last choice (10th out of 10 interests). When will we know what will happen with KMHD? Due to a major renovation of OPB’s facilities, we informed MHCC that we need a firm agreement on a contract extension by April 1. At that point, OPB needs to determine whether it will invest $150,000 or more in equipment and technology to support KMHD’s future operation at OPB. As part of OPB’s renovation, KMHD is scheduled to move into new studios with new equipment (all at OPB’s expense) in September 2019. How has MHCC benefited from OPB operating the station? MHCC has benefited from the partnership in a number of ways. It has been relieved of any need to subsidize the operation of the radio station. MHCC is reimbursed by OPB to offset operating and ownership costs. MHCC also receives a considerable amount of sponsorship messaging on KMHD and OPB platforms to use at their discretion. This is in addition to hourly announcements on KMHD that credit MHCC as an equal partner in the station. Does MHCC pay OPB to operate the station? Who can I contact at MHCC with questions and feedback? If you have questions about MHCC’s plans, we recommend reaching out to individuals on the MHCC Board of Education. I’m a current KMHD donor. What is happening with my contribution now that the agreement is being negotiated? OPB will not raise funds for operation of KMHD beyond August 9 unless/until we have an extension to the current agreement in place. For member privacy and security reasons, our membership, made up of more than 6,000 households, will not automatically transfer over to MHCC in the event of the termination of the partnership.